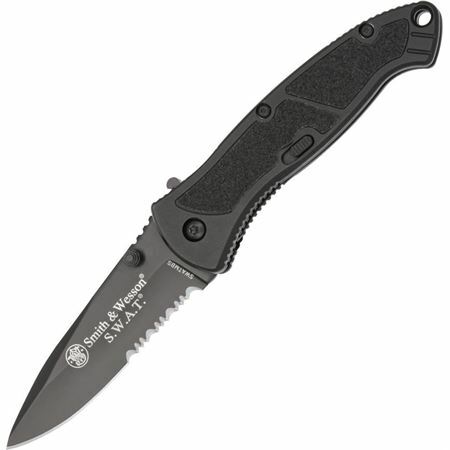 Smith & Wesson Swat Medium Regular Blade Black, 3.203in 440C Teflon Coated Steel Blade, Aluminum Handle, SW4000B 4 of 4 images Smith & Wesson Swat Medium Serrated Black, 3.203in 440C Teflon Coated Steel Blade, Aluminum Handle, SW5000B... An in-depth look at one of our products. Fans of the Smith and Wesson brand may also be disappointed to learn that this knife is made in China, and S&W sold the right to use the Smith and Wesson name to Taylor Brands. So this is not actually made by Smith and Wesson. Smith & Wesson Extreme Ops Knives The Extreme Ops line is a little more varied than the Black Ops line, both in looks and function. 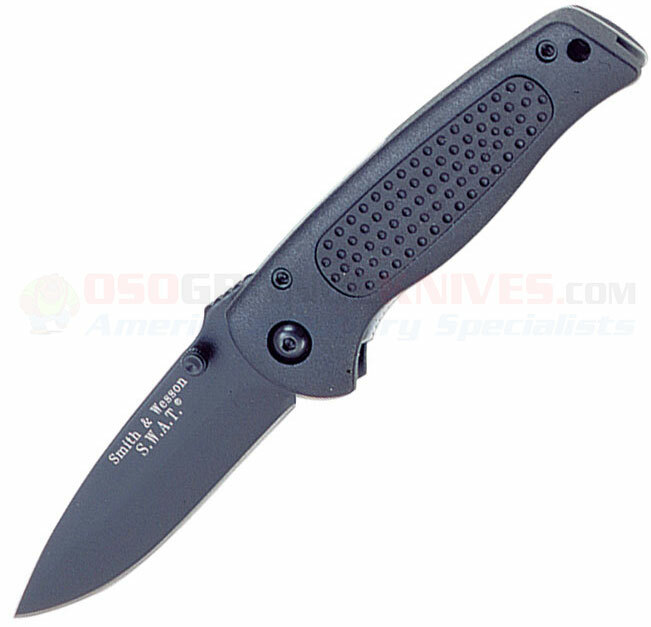 The line includes some folders with looks ranging from tactical to almost a standard pocket knife.